Whether you’re looking for VW accessories to trick out your vehicle or new VW parts, Alexandria Volkswagen is here to help. One of the best ways to achieve this is with our Volkswagen parts and accessories department. 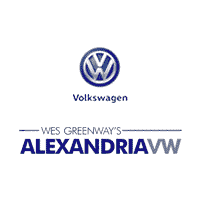 We’re located in Alexandria to better serve your needs, and we offer Volkswagen OEM parts that are designed to fit your vehicle. Our VW parts specials ensure you get what you’re looking for at a fair price. After you’ve browsed our Volkswagen parts coupons, contact our parts department for more information. If we don’t have the part you’re looking for in stock, we’re happy to order it in for you. Whether you’re looking for VW brake pads, a spare key, or accessories for the interior of your VW Atlas, get in touch with us today!